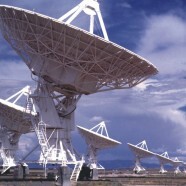 The second meeting of the UK SETI Research Network will be held at Birkbeck College in London on September 11–12th. The workshop aims to bring together SETI academics for discussions to and further the aim of promoting SETI work in UK academia. It is open to all UK-based academics and members of learned societies active in SETI research, and to those who have published SETI papers in academic journals. Those attending are invited to present papers.